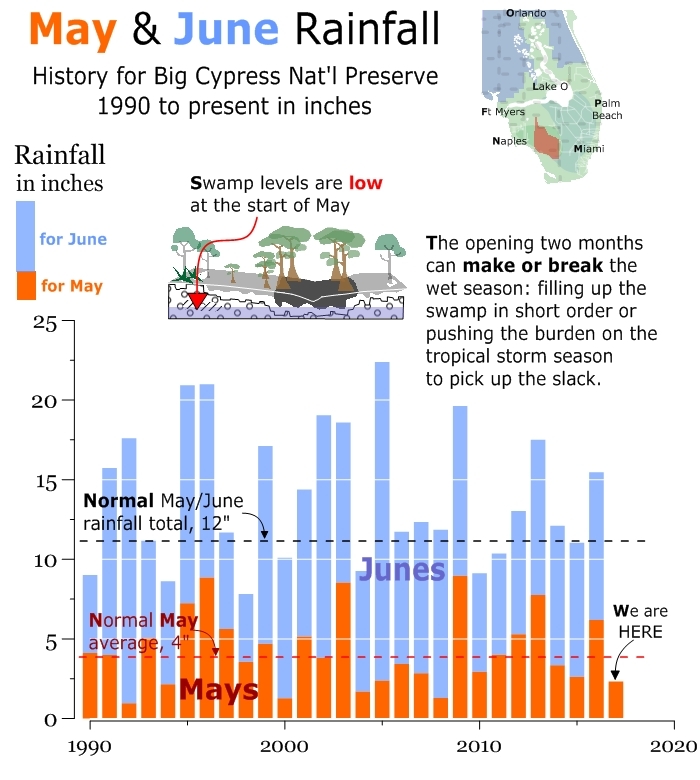 May and June set the tone for wet season. Some years they produce lots of rain (and quick), i.e. 20 inches. Other years, the skies fizzle and we get less than 10. We'll need the former this year to get our deeply submerged water table back. Currently midway through May we're at 2.3 inches.